Getting manicures and pedicures are two of the most relaxing ‘me-time’ activities for busy moms. But this pampering experience poses certain risks. 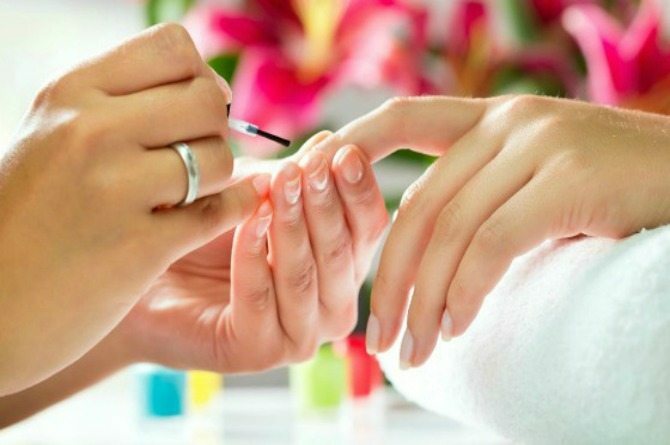 Nail care does not only impact your style, it also greatly affects health and hygiene. When you step into a new nail salon for the first time, keep these salon no-nos in mind to avoid infection, damaged nails and skin. Look around for licenses displayed on the nail salon’s walls. If you don’t see any, don’t be alarmed. Some establishments place these in the interior part of the salon. But, if you can’t find any of these, it should be a warning sign that the technicians may not be properly trained. Hygiene and safety issues need to be considered as well. If you do spot licenses, remember to make sure that they are updated and renewed. The strong odor of acrylic and nail products isn’t normal. It’s a sure sign that the place doesn’t have a good ventilation system. Without a proper flow of oxygen into the salon, in may cause patrons to inhale nail product fumes that may cause headaches, dizziness, or nausea. Obviously, if the floor is dirty, it says a lot about the sanitation of the place. If the tools they use are not constant UV-sterilised or the place isn’t in order, this should raise red flags that you should go elsewhere. If you find nail technicians who are eating their lunch in the same place where they work, it may also be a bad sign. All stations and chairs should be wiped down and each client has to be given a fresh set of towels. If they are wearing masks and gloves, however, this is a good sign because they come into contact with a lot of toxic ingredients; it protects them as well as their customers. If the pedicure tubs aren’t well-kept, they may lead to fungus or infection. After each use, water should be completely drained and the tubs cleaned with disinfectant. This may be a sign that they’re reusing bottles or waiting until the polish runs out before replacing it, even if it’s expired already. This is a sign of poor salon hygiene which may result to chips and streaks on your nails. Do Ayurvedic slimming oils work? Aishwarya Rai certainly thinks so! You'd be surprised to know why Priyanka Chopra's mother is not pushing for her daughter's marriage!